It is made of plastic and comes with the braider and a few accessories. The instructions say you can braid in 3 steps. It took about 5 minutes to prep Rylan’s hair into the braider, and then about a minute for the tool to braid. 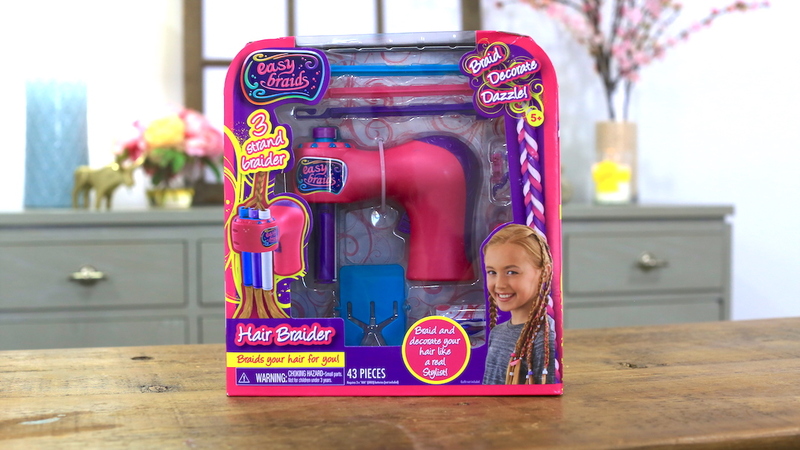 I bought the braider on Amazon but it is also available at Toys R Us. 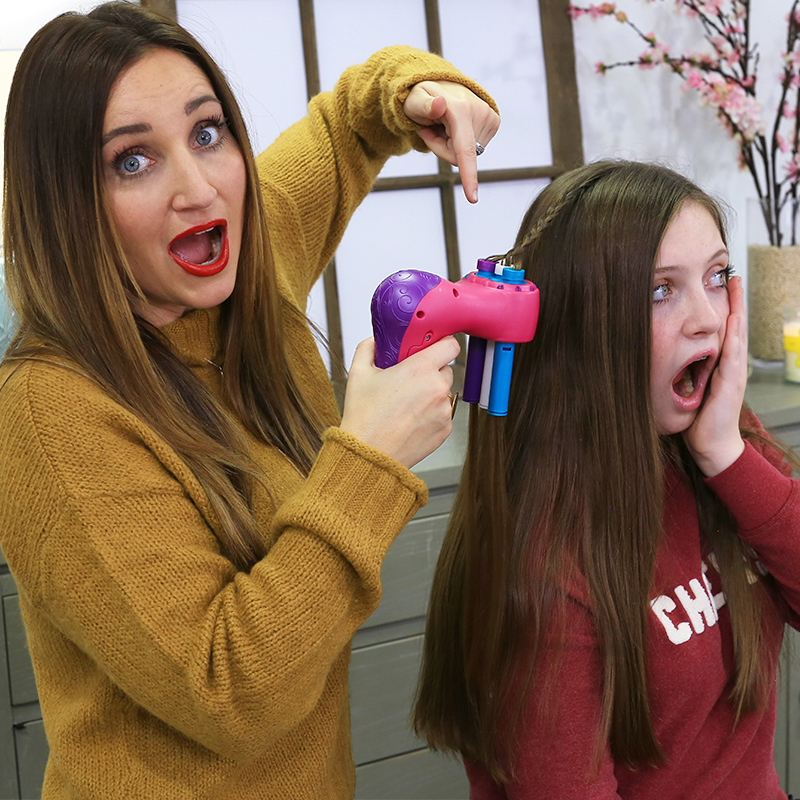 If you would like to see what I thought of the Easy Braider, click the link to the video below! Items Needed: Brush, Hair Braider, elastics. Load your hair into the Braider. Use the separator tool and the strand pullers. Hold the button on the handle. If you want a pretty braid you will need to move slowly down the hair. If you go fast it doesn’t work very well. Secure braid with an elastic.